The DN9000k10 is a complete logic emulation system that enables ASIC or IP designers a vehicle to prototype logic and memory designs for a fraction of the cost of existing solutions. 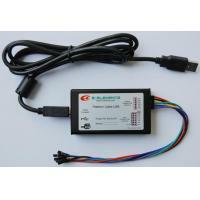 The DN9000k10 is stand-alone or hosted via a USB interface. A single DN9000k10 configured with 16 Xilinx Virtex-5, XC5VLX330＊s can emulate up to 32 million gates of logic as measured by LSI. This number does not include the embedded memories and multipliers resident in each FPGA. 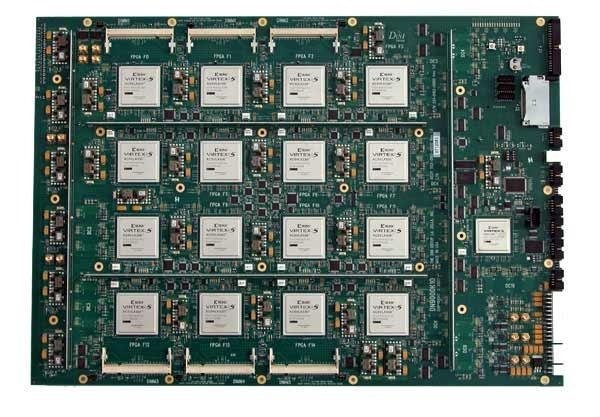 The DN9000k10 achieves high gate density and allows for fast target clock frequencies by utilizing FPGA's from Xilinx's Virtex-5 FPGA family for logic and memory. 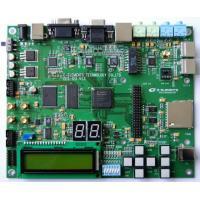 All FPGA resources are available for the target application. 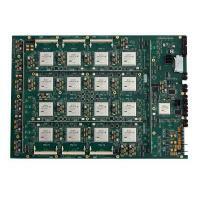 Any subset of FPGA＊s can be stuffed and each FPGA position can be stuffed with any available speed grade. interconnects are provided between the FPGA's. 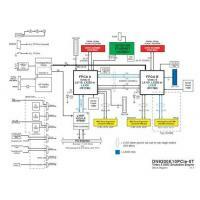 All pins of all banks of each FPGA are utilized. FPGA to FPGA busses are routed and tested LVDS, run at 450MHz+ (900 Mb/s) but can be used single-ended at a reduced speed. Example designs utilizing the integrated ISERDES/OSERDES with DDR for pin multiplexing are included. An 80-pin main bus horizontal (MBH) is connected to all FPGA＊s and another 80-pin Main Bus vertical (MBV) is connected to the 8 FPGA＊s in the right two columns. Bus switches on the MBH bus allow for higher performance operation when a subset of FPGA＊s is stuffed. 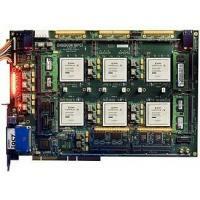 The DN9000k10 is easily adaptable to all applications via daughter cards. Eight separate 400-pin FCI MEG-Array connectors allow for customization via expansion. Signals to/from these cards are routed differentially and can run at the limit of the FPGA: 450MHz. Clocks, resets, and presence detection, along with abundant (fused) power are included in each connector. Signals are routed from the FPGA＊s on a bank basis, and the daughter card selects the I/O voltage of the connector by driving the VccI/O of the FPGA bank. The I/O voltage ranges are +1.5V to +3.3V. 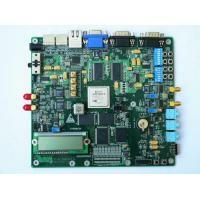 The DNMEG_Intercon card can be used to convert any or all of these connectors to interconnect. Six separate DDR2 SODIMM sockets are connected to FPGA＊s 0, 1, 2, 12, 13, and 14. Each socket is tested to 250MHz with a DDR2 SODIMM. Standard, off-the-shelf DDR2 memory DIMM＊s (PC2-5300) work nicely and we can provide these for a small charge. We have developed alternative SODIMM＊s that can be stuffed into these positions. Consult the factory for more details, but the list includes FLASH, SSRAM, QDR SSRAM, RLDRAM, SDR SDRAM, mictors, DDR1, DDR3, and others. 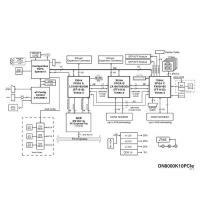 The configuration bit files for the FPGA's are copied onto a 128-megabyte Compact FLASH card (provided) and an on-board Cypress microprocessor controls the FPGA configuration process. FPGA configuration can also be controlled via the USB interface. Fully stuffed, the DN9000k10 configures in less than 60 seconds. Visibility into the configuration process is enhanced with an RS232 port. Sanity checks are performed automatically on the configuration bit files, streamlining the configuration process. 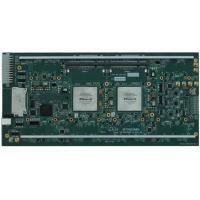 FPGA configuration occurs at the fastest possible SelectMap frequency - 48MHz. Multiple LED's provide instant status and operational feedback. Laboratory testing is showing that the amount of illumination provided by the LED＊s is enough to perform sophisticated cosmetic procedures on a walrus. 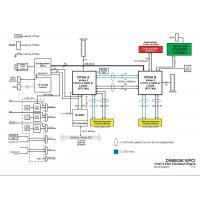 As always, reference material such as DDR2 SDRAM controllers, flash controllers, et al. is included (in Verilog, VHDL, C) at no additional cost.